The leader of 4Minute, Jihyun, recently said that the group’s future relies on the success of the album they just dropped because otherwise their contracts might not get renewed. “This album’s success will have a huge impact on whether or not our members will resign a contract. That’s why we’re working on meetings with the company. This album has to do well so that we can do well,” the group’s leader, Nam Ji Hyun said. 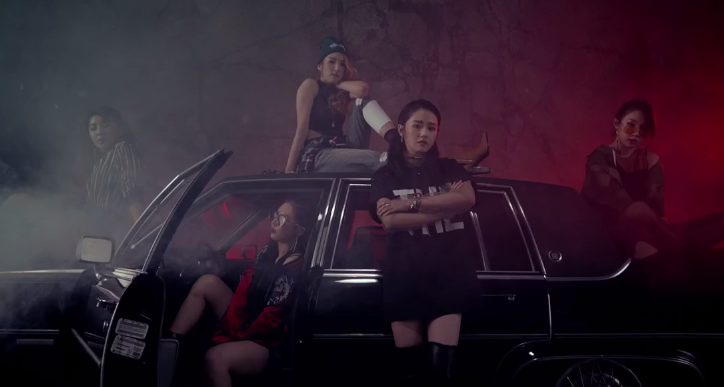 Maybe the extortion plan is just 4Minute trying to live up to their ’90s hep-hap sweg styling in “Hate“?